According to a new study from the Library of Congress, about 70 percent of all the American silent films ever made no longer exist, period—and most of those that do aren’t in very good shape. Of an estimated 11,000 silent films that have been produced, only about 3,300 remain. And of these, about 17 percent are listed as incomplete; some, like Greta Garbo’s The Divine Woman, are missing entire reels. 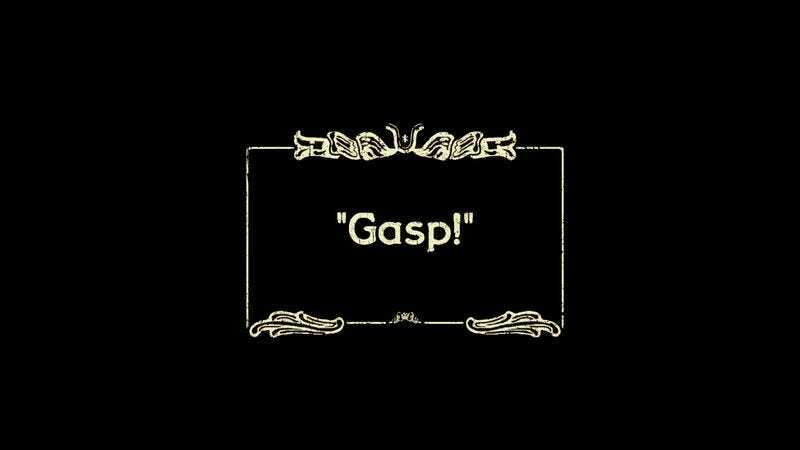 The Library of Congress’ James H. Billington says the demise of so many silent films is due in part to the perceived worthlessness of the material once talkies came into play. A great number of silent films were lost to 'chemical decay, fire, lack of commercial value, [and] cost of storage. 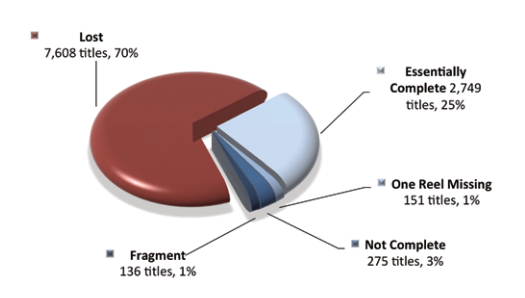 '” The below chart from the study breaks down what we have left. As you can see, it isn't much.